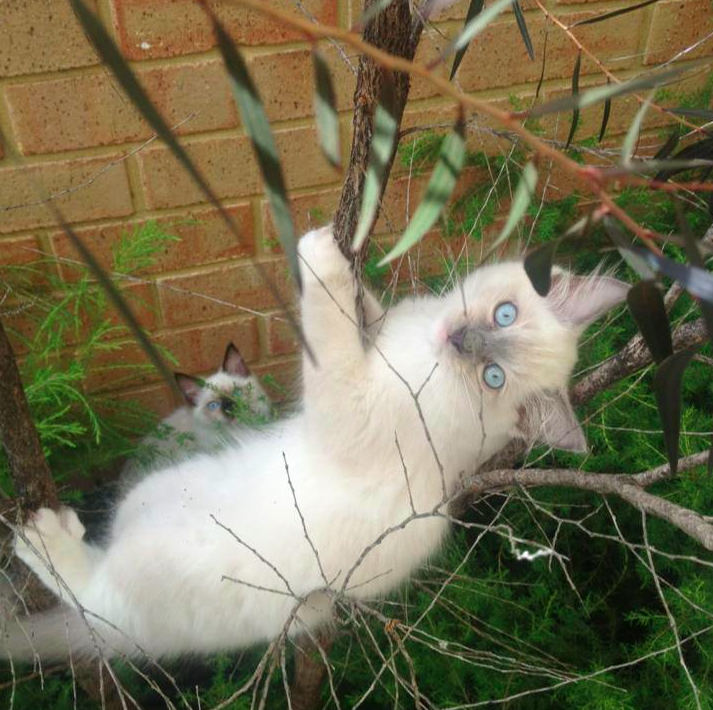 At Hollyann my kittens come in a variety of colours and patterns: Points, Mitted and Bicolour. All kittens are raised in my home and are well socialised with kids and other pets. Visitation of kittens before being vaccinated is not permitted, but I will keep you updated by email with photos and progress. They are my precious babies and need to be protected from any threat of disease until their first vaccination. Then you are welcome to visit your new kitten. Kittens don't leave my home until they are 12 - 14 weeks old. At this stage kittens are fully vaccinated with Fevac 3. They are desexed (this is not an option) micro chipped, vet checked, registered, litter trained, wormed and flea treated. My kittens are fed raw meats (chicken, lamb, beef mince) cat tucker time, fish (raw or cooked) and Professional biscuits. All of which gives them the best start. Hollyann is a registered breeder with COAWA. Hollyann is also council registered.